Tears streamed down my face. My legs quivered. I was naked. Afraid. Blood and dirt were in between my fingernails and toenails. The ringing in my ears began to die down and I could once again hear the music that played from the car’s radio. 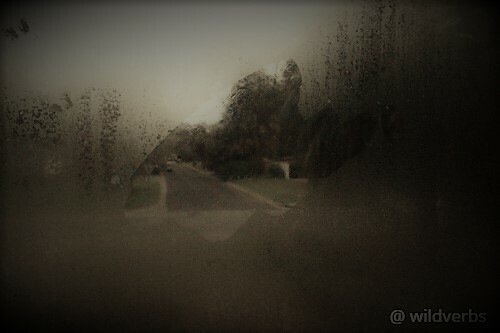 My shaking hand swiped at the condensation that covered the car’s window. My father strode to the car through the rain. He opened the door and handed me a blanket. He looked ahead expressionless as I tried to compose myself. “I can’t do it,” I growled out. I pulled down the sun visor and opened the mirror. The small light illuminated me. The hair and muzzle that was once my face had receded back. I exhaled. To be a member of our pack, I must transform again. FROM THE NIGHT is my submission to the weekly writing challenge by Flash Fiction for Aspiring Writers (https://flashfictionforaspiringwriters.wordpress.com/2018/09/10/fffaw-challenge-182nd/). This week’s photo prompt was provided by wildverbs. The goal of the prompt is to write a story based on the photo. The story must be 75 to 175-words. This story’s word count: 175 words. Wow, chilling! I didn’t expect that ending at all! Great story!! Thank you! Thanks for taking the time to read the stories! I appreciate it!